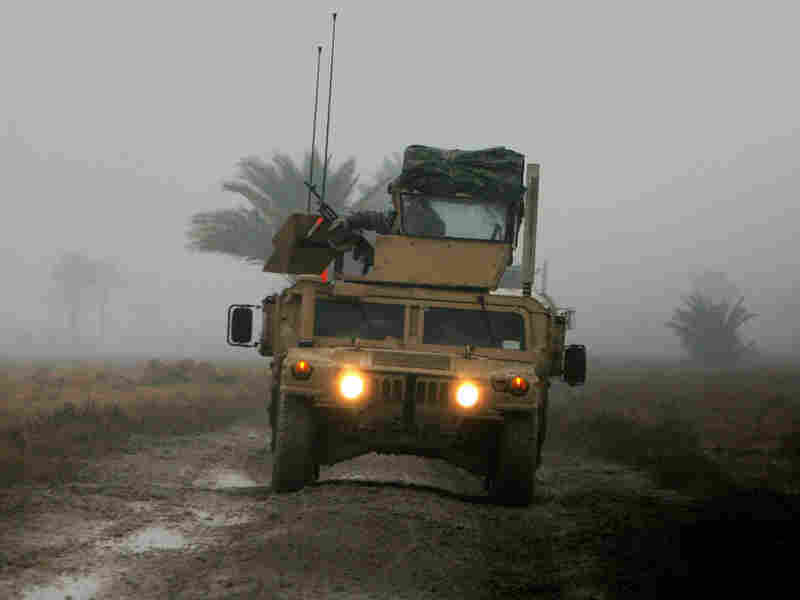 For Soldiers With PTSD, A Profound Daily Struggle According to the Department of Veterans Affairs, 10 to 18 percent of Iraq and Afghanistan war veterans may have post-traumatic stress disorder. The sleeplessness, anger, anxiety and sense of isolation that can accompany PTSD pose tremendous challenges for veterans and their families. According to the Department of Veterans Affairs, 10 to 18 percent of Iraq and Afghanistan war veterans may have post-traumatic stress disorder, or PTSD. The sleeplessness, anger, anxiety and sense of isolation that can accompany the disorder pose tremendous challenges for veterans and their families, and there's an enduring stigma around mental health care that still discourages many from seeking help. Dexter Pitts deployed to Iraq in 2004, when he was 19. Less than a year later, he was seriously injured by a bomb while driving a Humvee in Baghdad. He tells NPR's Neal Conan that he sustained serious physical injuries. Soon after he got back, Pitts says, he realized he had sustained more than just physical damage. He remembers lying in his room at the Walter Reed Army Medical Center and his cousin constantly running in and bothering him. When his cousin hit his injured arm, Pitts says, "I just lost it. I blacked out. I chased him down the hallway, grabbed him by his shirt, picked him up and punched him in his chest as hard as I could." Though Pitts had noticed other PTSD symptoms, he says that's when he realized he needed help. He was eventually diagnosed with PTSD. "I didn't really want to accept it," he says. Pitts says the military had built him up to believe he was "larger than life, almost like a superhero." And if you're anything less than a superhero, "you're weak-minded." But it was clear Pitts had a problem: He was afraid to drive and afraid to talk to people he'd known his whole life. Over the years, he says, he's been able to piece himself back together, but he doesn't think he'll ever be the person he was before he deployed. Pitts is now a police officer in Louisville, Ky., and he has two therapists who have helped him with his PTSD. He says he loves his job — and, unlike many who serve in law enforcement, Pitts says he doesn't worry about getting killed on the job. "I worry more so about my name and my reputation," he says. "When I'm done with the police department here, I want to be known as one of the friendliest cops anybody's ever met." 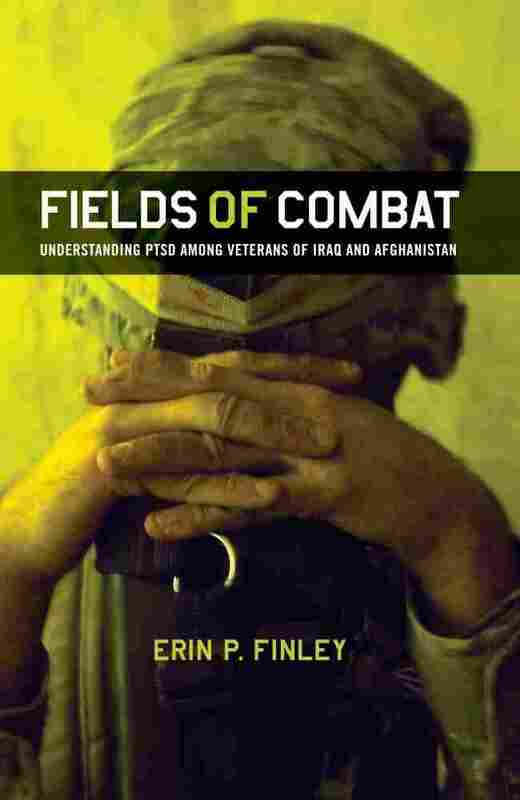 In the book Fields of Combat, author Erin Finley documents the experiences of Iraq war veterans living with PTSD. 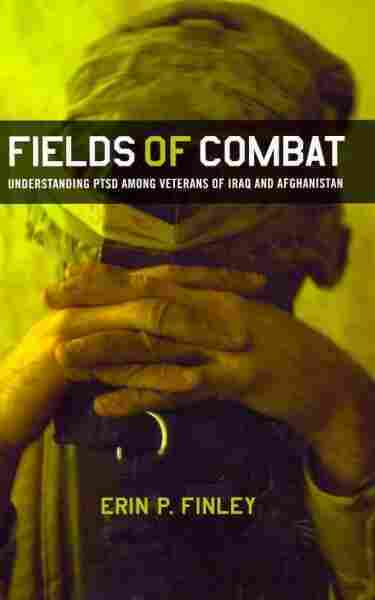 She interviewed more than 60 veterans for the book and tells Conan that she's familiar with stories like Pitts'. She says the most successful veterans she's encountered have been those who focus on serving others in their post-military careers. "Whether that's serving their community as a police officer or serving their family by having a career and supporting them," she says, having a mission helps veterans with PTSD succeed. Pitts' story about his cousin also resonates for Finley. "Many of the veterans I know who ended up in care and had a very positive experience with treatment were those who sought care because they saw the impact PTSD was having on others around them," Finley says. Moments like that, she says, can "really become a catalyst for positive change." Part of the solution for soldiers, however, might be trying to prevent PTSD in the first place. Clinical psychologist Craig Bryan is trying to find better ways to integrate the clinical world of mental health with the warrior culture of the military. He has served as the director of the Traumatic Brain Injury Clinic at the Air Force Theater Hospital in Iraq, and now researches suicide prevention and psychological resiliency. Bryan tells Conan that stress inoculation training, which is kind of analogous to a traditional vaccination, shows real promise. "You introduce the service member to increasingly stressful situations that mirror the traumatic event as much as possible," Bryan says, "and over time they learn to habituate." The hope is that they become more immune to the effects of the situation. Still, Bryan says he doesn't think they'll ever be able to completely inoculate soldiers against the stress of war. Derek and Laticia first started to think that Derek might have a problem after he was released from the hospital with his new prosthesis. Memory of the improvised explosive device (IED) that had taken his leg remained fresh in his mind. He says, "[I]t took me a while to get down from that. Especially driving on the road, anything that looked like trash or debris on the side ... I had nightmares." Laticia chimes in, "For the record, we were watching TV with my cousin and they flipped it on a channel and there was two guys joking and laughing in the desert, riding in a Humvee ..."
Derek nods, remembering the incident. "Mmm-hmm ..."
She continues. "And the next second it blew up. And I turned and looked at my cousin and she turned [the TV] off and I turn and look at Derek. 'You OK?' He says, 'I'm OK.' " Later that night they were driving home, Derek behind the wheel, and, Laticia says, "[H]e's driving like a maniac down the highway." She stopped him: " 'You're going to kill us — pull over.' And he was shaking, clearly disturbed." She drove the rest of the way home. There were other signs. His fear of crowds was so bad that he couldn't go to the grocery store, to the mall, to Six Flags with their kids. I ask how they dealt with that and Derek answers, shrugging toward Laticia, "She busted me a lot." "You busted me a lot." She nods, accepting this, then adds, "I think I would cry a lot. It was a mix of things — frustration, you don't understand. You don't really understand." Back then, she says, she tried to hear him out but found it difficult to be patient when she couldn't make sense of his problems. They fought on New Year's Eve when she wanted to go spend the holiday with her family and he wanted to stay home, dreading the party crush. Derek remembers that he was still angry when she came home. She defends herself. "You know — it was going from one lifestyle to another, and then dealing with something I couldn't even comprehend. To me it was like, my family's calling, we gotta go to my family. It's my family!" By spring, however, they had fallen into a pattern and things seemed better. That summer they took the boys to Six Flags, and Derek was able to stay for several hours before he began shaking, unnerved by all the people. Another night that summer they tried going out to a club with some friends. Derek says, "I was not having that. Too loud. Too many people. Cannot see everything at once. There was smoke everywhere. And I felt really bad, because we don't get to go out much, with two kids. She was having a really good time, joking. She wants to dance and I'm trying to look everywhere at once. I had the racing heartbeat and I couldn't breathe, and we had to leave." When fall came, he started college. He purposely chose one of the smaller schools in the area, thinking it would be less crowded and less likely to unnerve him. But over time, he found that he increasingly needed to get to campus a half hour early. "I would walk the perimeter of the buildings and I would walk around inside the building, just looking at everybody and making sure everybody fit and there wasn't a problem before I went to class. And that started becoming a problem, because — if I was out of one class a little late and I couldn't make it to one class without walking around? — I had a really difficult time focusing in class." One day he saw a man standing on the roof and nearly dived to the ground, thinking he was a sniper. "I knew it was crazy. I was thinking, he's either a sniper or he's going to radio ahead. And then I thought, this is San Antonio. There's not snipers on the roof, nobody's going to blow me up here. But I still had to walk around so I wouldn't be nervous in class." Wives and family members play a key role in helping to shape veterans' experiences of illness, both through offering their own opinions about the source of the problem and in suggesting an appropriate response. Wives in particular are often the prime movers in getting veterans into treatment, and Laticia was trying. She had been telling Derek for months that he needed to go get some help. But the final straw came one day during a class on international terrorism. The professor finished the lecture early and put on a video for the class to watch. Derek says, "And it starts with the Islamic call to prayer, there's one of the jihadist group's flags with the AK-47s, and then this mosque just blew up." He was so upset by the unexpected explosion and the triggers of Iraqi sound and symbol that he fled. And that was it. As he saw it, his problems were now interfering with his ability to pursue a college degree and move ahead with his career plans, and that was unacceptable. He spoke with his vocational rehabilitation counselor about getting some help, and within a few days he had an appointment at the VA for a PTSD evaluation. In Derek's story, there was no crisis, no single event that forced him into treatment, no immediate danger to himself or his family. Instead, there was a long, slow series of events that made it clear he had a problem, one that was not going away and one that could get in the way of fulfilling his plans for himself and his obligations to his family. This necessitated action. Excerpted from Fields Of Combat by Erin P. Finley. Copyright 2011 by Cornell University. Excerpted with permission from Cornell University Press.